We went through several bags of Easter Jelly beans well before the actual holiday - but couldn't resist buying a few more packages found in the 75% off section of our local grocery store. I justified the purchase by using them for our daily learning activites. Do you still have any leftover? I printed off a Letter J Do-A-Dot Page from Confessions of a Homeschooler (this is one of my FAVORITE blogs for inspiration, ideas and printables - this woman is amazing). We first filled each of the dots with single jelly beans (identifying colors as we went along). After the task was completed, we devoured the jelly beans, and used our Do-A-Dot markers to color in the letter J. After sorting the colors we conducted a "Taste Test". Sometimes we would try to guess the flavor or color (with eyes closed, or with one toddler eye open) or just describe if the flavor was sweet or sour. Going to wait until next year to try this Jelly Bean Bracelet idea (perfect for an older pre-schooler - I don't quite trust my daughter with a needle yet). 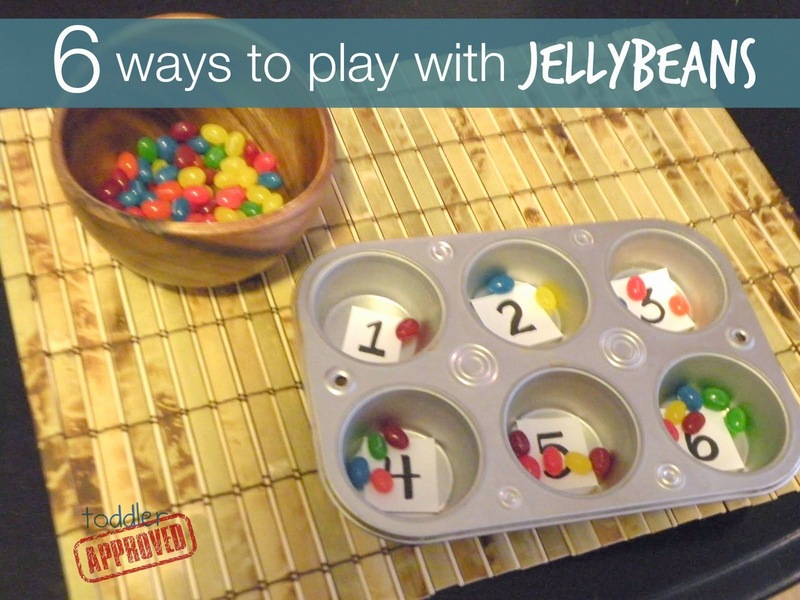 Another fun activity is to plant a Jelly Bean Garden. Allow your child pick out a few jelly bean "seeds" of various colors and have them plant them in some soil (inside or out). While they are taking a nap or before they get up the next morning, stick lollipops in the ground over the place of each of the jelly beans. That's my kind of gardening! Also planning on making these Jelly Bean Bags for next year and use them to play an Easter version of Kristina's St. Paddy's Day Pitch! Okay we have a ton of jelly beans.. We are going to have to do some of these activities this week!